[toc]Scalp psoriasis shows symptoms same as that of general psoriasis, on the scalp. It may cause scaly skin in the scalp, which may lead to hair loss too. This is often localized just to scalp or even spread to the forehead. This causes itchiness and has to be cured at a proper time to stop its spread to other areas like the neck, shoulders and back of the ears. It may even cause embarrassment due to the flaking off of skin, like dandruff. To avoid all these, try using natural products to treat it effectively. Coconut oil is one of the best solutions for all troubles related to scalp. 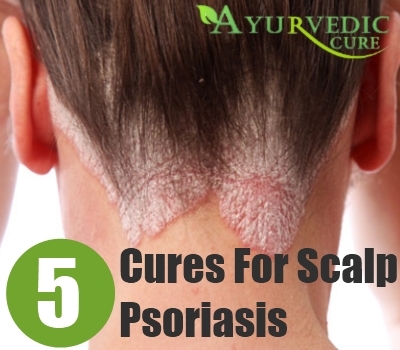 In case of scalp psoriasis, you can apply it completely on the scalp and leave it as such for some time. You can then wash it off with mild shampoo. You should follow this regularly for effective results. Also, coconut brings about good results, when you consume it orally too. So, you can add it in the form of oil or coconut in your daily diet. Oregano oil is known for its antifungal and antibacterial properties. This can also be used to cure scalp psoriasis, by applying this oil on the infected part of the scalp. The oil helps in the removal of dry and scaly skin and helps in curing the infection too. You can apply it and leave it overnight before you wash it off. This will also help in reducing irritation and itchy feeling. Vinegar in its concentrated form is a very good antibacterial agent and helps in curing psoriasis completely. You can apply in on the scalp and cover it with a plastic wrap for an hour before washing it off completely. You will find the cure after each such wash. Also, it kills the bacteria and prevents the infection to spread to other area too. All famous aloe vera, known to treat all kinds of skin diseases, helps you out from scalp psoriasis too. It also eases irritation and gives a chilling effect. You will be completely relaxed, if you apply it on the affected area on the scalp. You can wash off after sometime and feel the change. It also reduces dryness of the skin and helps in moisturizing it. Vitamin E is very much essential for the growth and development of healthy skin. As scalp psoriasis is also a problem related with skin on the scalp, it is essential to take up food rich in vitamin E. Almond oil is a rich source of this vitamin and it can be consumed regularly and added in your diet to bring about effective results. Psoriasis is a serious problem and it should be treated on time to avoid any embarrassment. When you initially come across its symptoms, you can immediately try out some of the natural remedies and try to cure it at home. If it spreads beyond scalp and across all parts, you have to immediately consult a dermatologist.